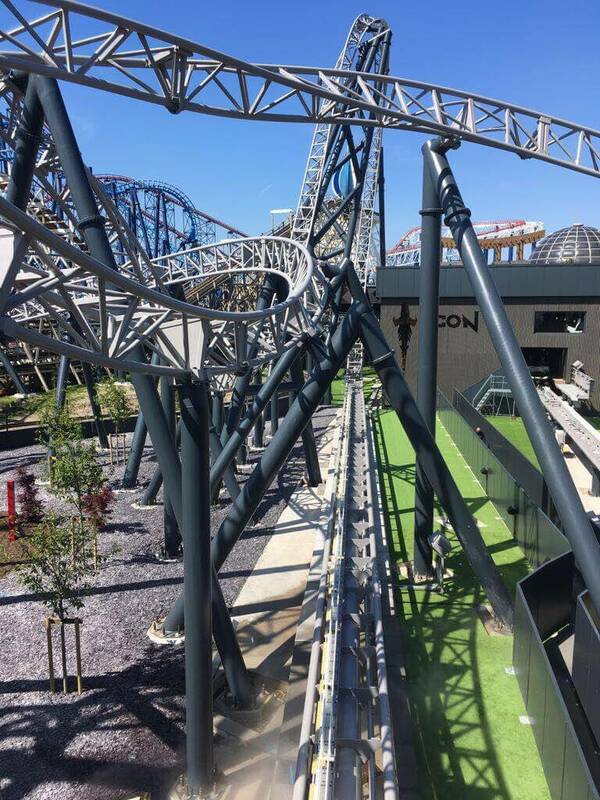 Ride ICON, the UK’s first double launch rollercoaster. The 1143 meter long rollercoaster passes several other rides at Blackpool Pleasure Beach catapulting the riders with more than 4 G into their seats. With more than 80 km/h the train climbs to a height of 27 meters before plunging back down. The 80-second ride begins on the level, with acceleration equivalent to a Formula 1 racing car – reaching over 50mph in 2.25 seconds. Passengers race through a cloud of artificial fog and then start a steep climb followed by a precipitous descent.